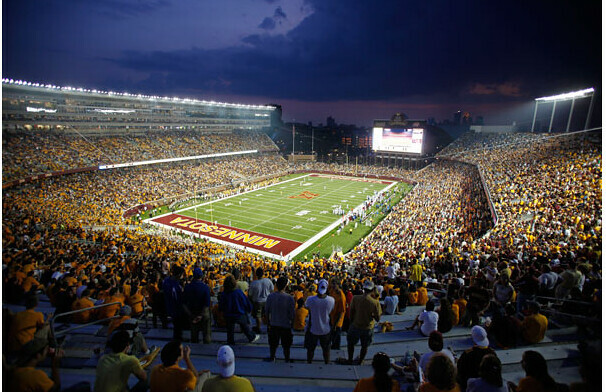 TCF Bank Stadium, home to the Gophers football team at the University of Minnesota, was awarded LEED Silver Certification in time for kickoff on September 12, 2009. At that time, TCF Bank Stadium became the first LEED certified collegiate or professional football facility in the country. The stadium boasts a storm water management system that allows rain water to be captured, filtered and drained into the Mississippi River. A reflective roof reduces heat island effect. The use of potable water for landscape irrigation was reduced 50 percent.